It's that time of year again! Farmington Hay Day is this Saturday the 18th. Click this link to see a schedule of the entire weekend, from start to finish. The Museum of Farmington History will be open 9am-10am and then 11:30-3pm on Saturday 18, 2018 for Hay Day. 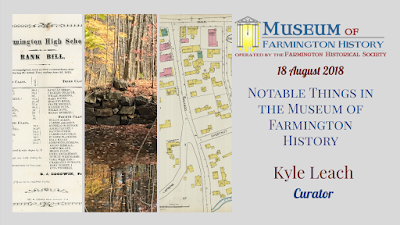 So many people said they wanted to attend the Historical Society presentation from the spring, that in the end did not get to attend, I've decided to present it again on Saturday during Hay Day from ten to eleven in the morning. I'll close the museum for the presentation and then open it back up to the public.The museum will be open for people to mill about for the rest of Hay Day on Saturday. The presentation is exactly the same as the one in March of 2018. What do stuffed birds, scary dolls, a blowfish, and acorns carved into baskets have in common? They are all in the Museum of Farmington History! If you are curious about what else is in the collection, mark your calendars and come to the Museum of Farmington History, on the lower level of the Goodwin Library. 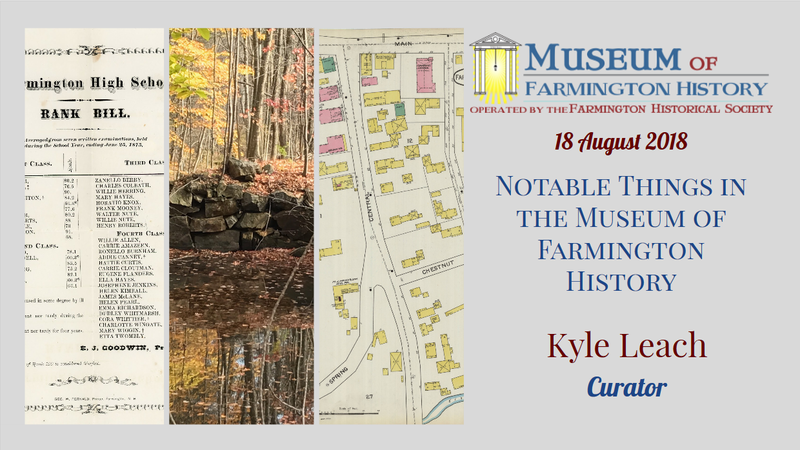 Listen to Farmington Historical Society member, Kyle Leach, who has been the Museum Curator since 2012, as he takes you through a tour of selected items of special interest in our archives. The collection houses some curiosities and oddities that are tied to the rich history of Farmington. Kyle, and other volunteers, have spent countless hours sifting through the contents in the museum trying to organize and make sense of the treasures that have been donated and collected over the years. 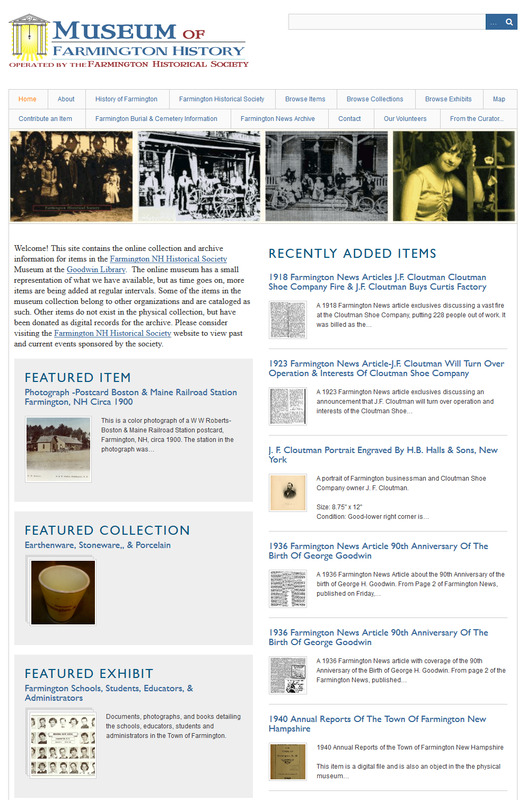 More recently, he has established a growing online presence for the Society by developing and maintaining our online museum, a feature only few New Hampshire museums have the resources to do. The Historical Society invites you join us for this presentation, take an interest in our history, our museum. 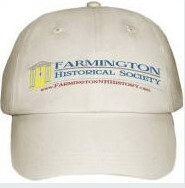 We will have our logo hats and t-shirts for sale as well as both Farmington history books. It is also a great time to think about becoming a member of the society or making a donation. Memberships dues are only $5 per year. 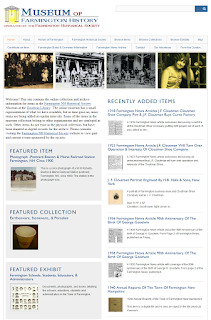 Donations and dues go toward our online museum, our annual scholarship, maintenance of the artifacts, and sometimes allow us to make acquisitions for the collection. I hope to see you in the museum that day. Enjoy your Hay Day weekend!